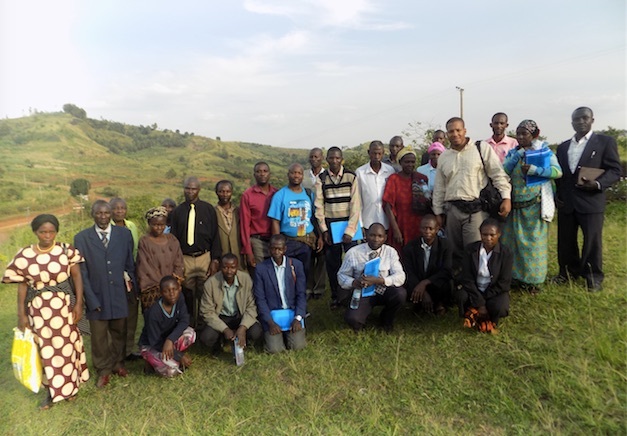 In an earlier update, Brother Bill told of visiting Fort Portal in western Uganda, where he was asked to begin a training program for pastors. A church in Bridgeport, CA and HeartCry partnered together to fund Bill’s travel and the conference expenses. Here is Bill’s delightful description of his time in Fort Portal. I particularly love how he wisely avoided starting with controversial topics, but rather taught reverence for God’s Word, and then let their curiosity bring the Word to bear on those topics. "On Day 1, we woke up in the morning and drove 20km to a village where the organizers wanted us to have the seminar, although we badly wanted it in town for many reasons. But we decided to wait and see how the first one would go. The organizers in Fort Portal were expecting 25 to 30 pastors. The first day turn up was not good as only a few pastors came, and among these were some women pastors. We had asked the organizers to invite pastors from all Christian denominations just the way they are, trusting that the truth will set them free. We taught three subjects: 1) The Doctrine of God: Knowing the Living God; 2) Basic Principles of Bible Interpretation; and 3) Leading According to Jesus’ Pattern. On the second day, more pastors came and we had around 34 pastors. The day ended very well, and surprisingly, many pastors were more encouraged. On the last day we had a few new pastors join us. The teachings went well and the day ended with more questions and answers. We had many village pastors who could neither read nor write. Reasoning with them through Scripture was not easy. Overall, the seminar was very successful. We had in total 40 pastors and church leaders, although they didn’t all come at the same time and some missed some days. We had decided not to begin with doctrines that bring divisions among denominations like speaking in tongues, women pastors, etc. But during our hermeneutics lessons the pastors themselves started asking us how some scriptures could be correctly interpreted according to the principles we had taught. The examples they chose were scriptures about speaking in tongues and women pastors! We had no option but to apply the principles of biblical interpretation to some of those scriptures and help them understand what the Bible really teaches on those topics.